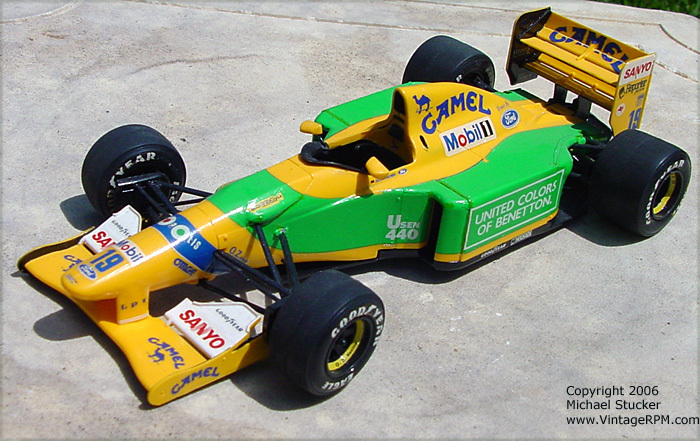 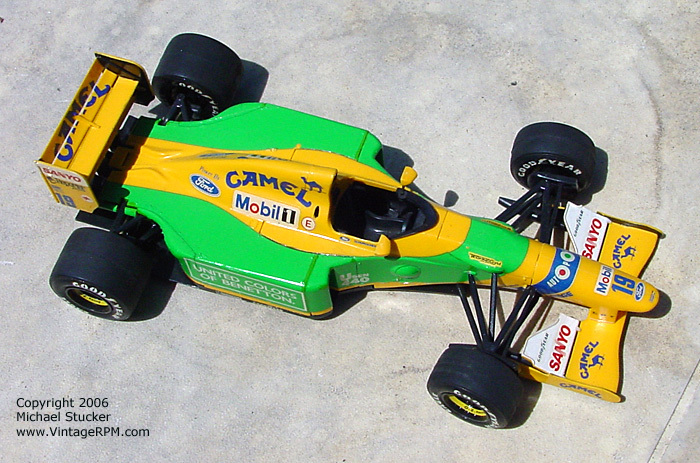 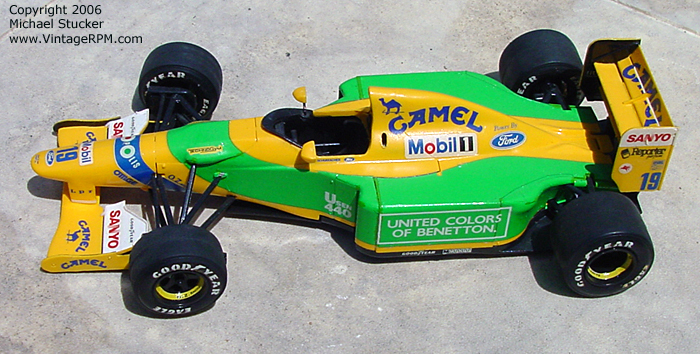 Model of the F1 car driven by Michael Schumacher in 1992. 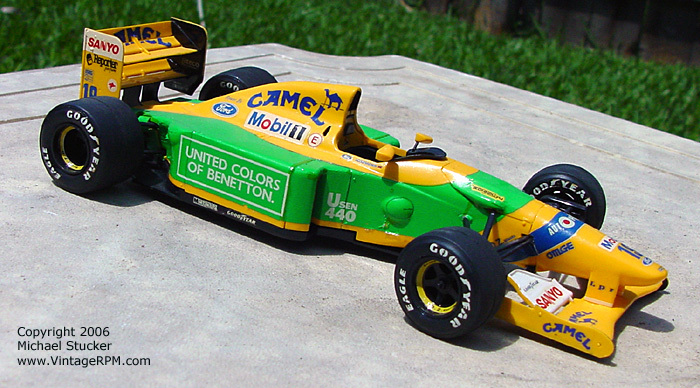 This model was built not long after I returned to the hobby in the mid-1990s. 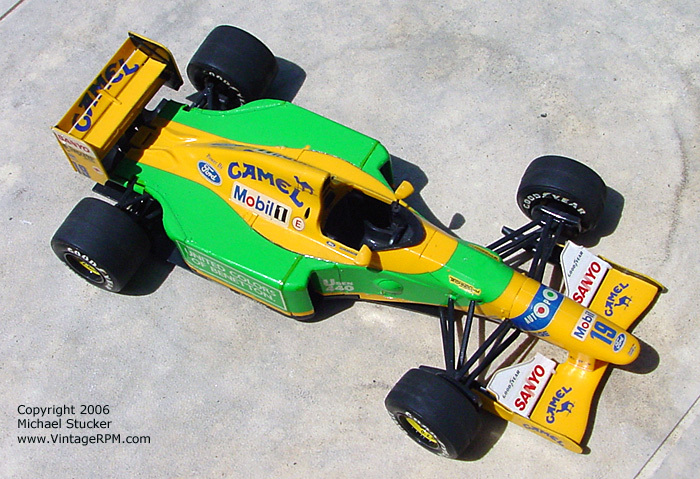 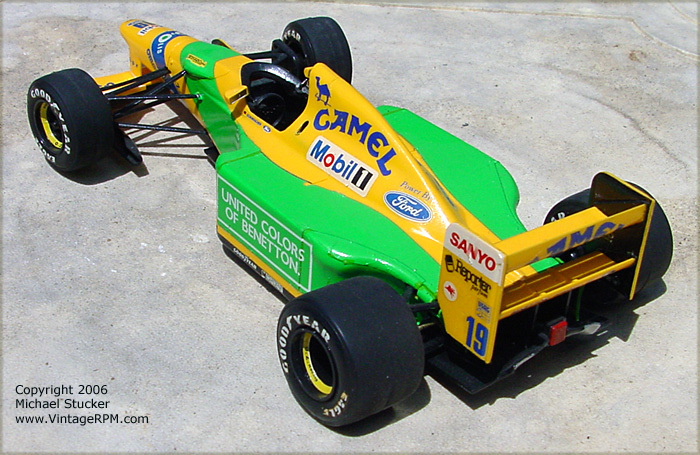 The yellow color on the car is raw plastic and the green is decal. 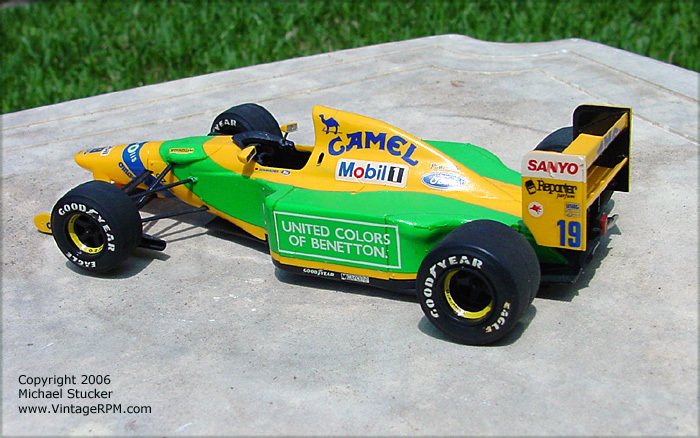 The Camel decals are from Racing Colors.